Contractors In the beautiful Mid-West Ohio. Find our Ad in the Sidney daily news. We have been providing professional services for over 15 years. We are Bonded & Insured in Ohio. 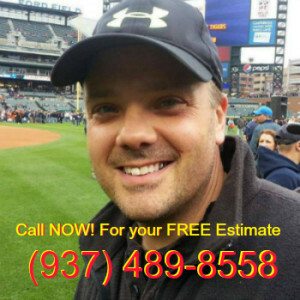 Home Improvement Services: Roofing, Kitchens, Bathrooms, Siding, Windows, Doors, Decks, Fences, Flooring, Drywall, Painting Services, Power Washing, Garages, Porches, Additions, Home Repairs, & Installations. Home Office Located in Sidney, Ohio 45365. Serving – Sidney, Anna, Piqua, Troy, Tipp City, Vandalia, Botkins, Van Wert, Wapakoneta, Bradford, Covington, Greenville, Bellafountaine, & Lima Ohio. We are Contractors in Ohio. We Offer Remodeling, Construction, Roofing, Builders, Home Improvements, Contractors Services, Home Repairs, & Installations. Total Home Improvement came to my house and solved all my issues! I had them perform various duties but the biggest was the complete remodel of my bathroom. It turned out FANTASTIC! !Couldnt be any happier!! Very professional demeanor and high quality work!! THANKS TOMMY! !